Dr. Basil Alwattar is a sports medicine specialist and general orthopedic surgeon with a clinical focus on arthroscopic and open treatment of orthopedic pathology affecting the hip, knee and shoulder. Dr. Alwattar also treats traumatic injuries and degenerative conditions, provides general fracture care and performs replacement surgery of the shoulder, knee, and hip. Dr. Alwattar is dual Board Certified by the American Board of Orthopedic Surgeons (ABOS) and is CAQ Board Certified in Orthopedic Sports Medicine with specialization in sports related injuries. The Certificate of Added Qualification (CAQ) is awarded to a select few orthopedic surgeons who have qualified for this distinction. Dr. Alwattar was born and raised in Evanston, Illinois and a product of their public-school system. From there he attended the University of Michigan in Ann Arbor and graduated with a Bachelor of Science in History and Biology. After undergraduate studies he attended and received his Medical Degree from the University of Illinois College of Medicine, Champaign-Urbana in 2004. Dr. Alwattar continued his training with a residency in orthopedic surgery at the prestigious New York University-Hospital for Joint Diseases in New York City. During residency, Dr. Alwattar served as a staff physician for NYU Athletics, as well as the Alvin Ailey Dance Company and completed additional training in orthopedic trauma and fracture care at the University of Washington, Harborview Trauma Center in Seattle, WA., one of the busiest trauma centers in the United States. Upon completion of residency, Dr. Alwattar pursued further training with a fellowship in arthroscopic surgery and sports medicine at Lenox Hill Hospital, also in New York City. While at Lenox Hill, Dr. Alwattar served as assistant team physician for the New York Jets Football Team, New York Islanders Hockey Team, Hofstra University Athletics and New Rochelle High School Athletics. As part of the fellowship, Dr. Alwattar trained in the latest arthroscopic and minimally invasive techniques including cartilage repair, complex knee ligament reconstruction, and hip arthroscopy. After fellowship, Dr. Alwattar moved to Oakland with his wife, a Bay Area native. Dr. Alwattar has spent his entire career on staff at Alta Bates Summit Medical center and serves as the chairman of the department of orthopedics. He also serves as a team physician for St. Mary’s College in Moraga, CA and is on staff at Highland Hospital in Oakland, CA. There he serves as a consultant orthopedist to manage complex sports and trauma injuries along side the talented Highland orthopedists. In his free time Dr. Alwattar enjoys spending time with his family, traveling and following both collegiate and professional athletics. He is proud to serve of the board of the Alameda Boys and Girls Club. 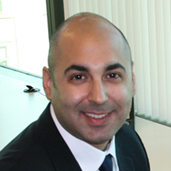 Dr. Alwattar is an active fellow of the American Academy of Orthopaedic Surgeons, the Arthroscopy Association of North America, the Alameda County Medical Association and is a delegate representative of the California Orthopedic Association.